A stunning handmade personal bracelet featuring silver links stamped with a personal/secret message on the inside of the links. Hand made to order, this beautiful Storyteller Bracelet is a wonderful way to remember special memories, dates and locations. 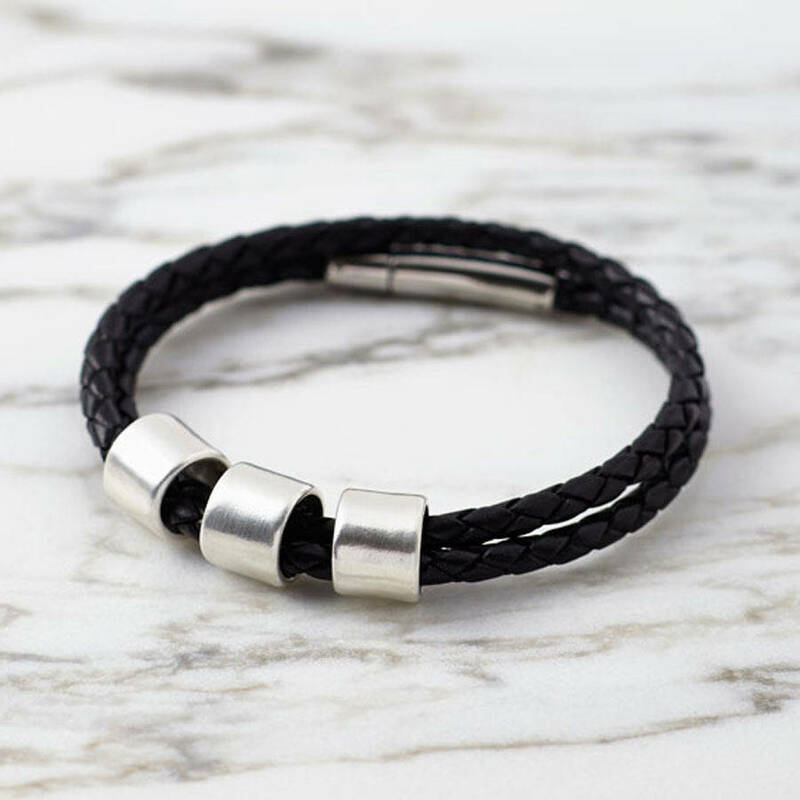 It makes a perfect gift for a loved one and you can add silver links to the bracelet at any time in the future. Additional, individual silver links are available here. Perfect if you would like to keep your message completely secret, just between you and your loved one. Additional silver links can be purchased at a later date to add to the bracelet. 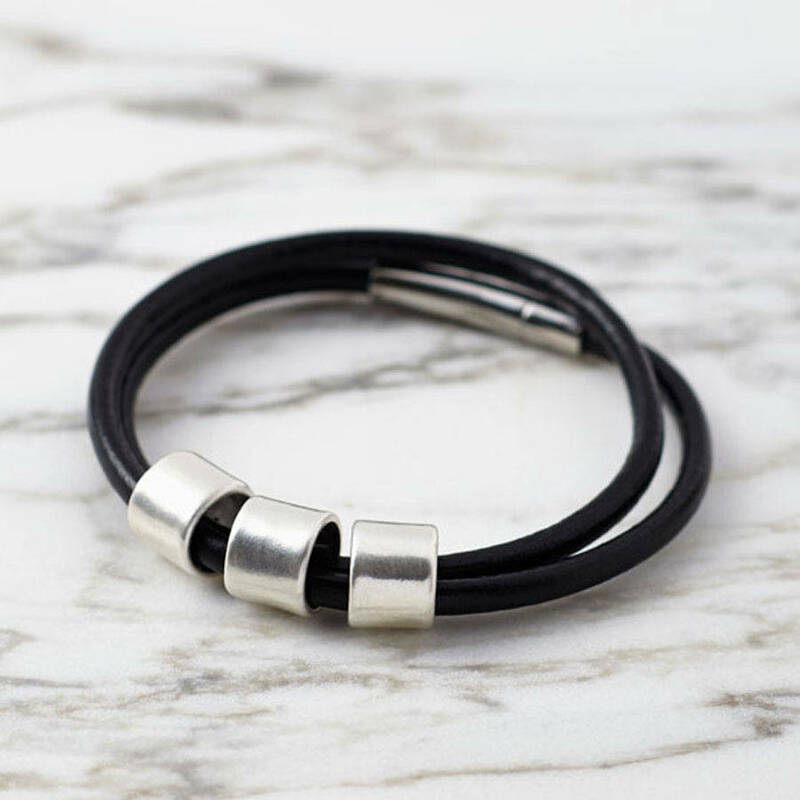 The silver links and stainless steel clasp have a brushed finish. 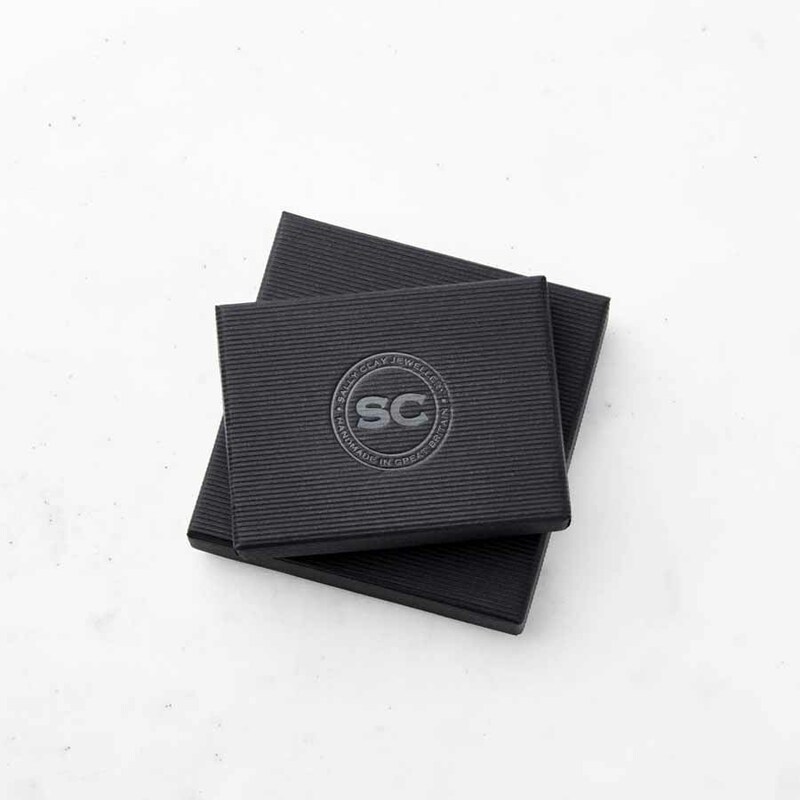 The bracelet and links will arrive beautifully packaged in a Sally Clay jewellery box, this service is completely free of charge. The silver links will be in the box with the bracelet, but not on the leather cord so that the recipient can read the secret messages inside the links before putting them onto the bracelet. Up to 26 characters (including spaces) can be stamped onto each silver link over two lines, with a maximum of 13 characters per line. All stamping is in upper case for clarity. Please use a ‘/’ to indicate where you would like the text split over the two lines. One link is included in the price above, additional links can be added to the bracelet using the drop down menu below. Individual silver links can also be purchased separately in the future to add to the collection. They can easily be added to the leather bracelet. This is a great gift option, allowing you say absolutely anything on the silver (if it’s naughty – no one will know!) 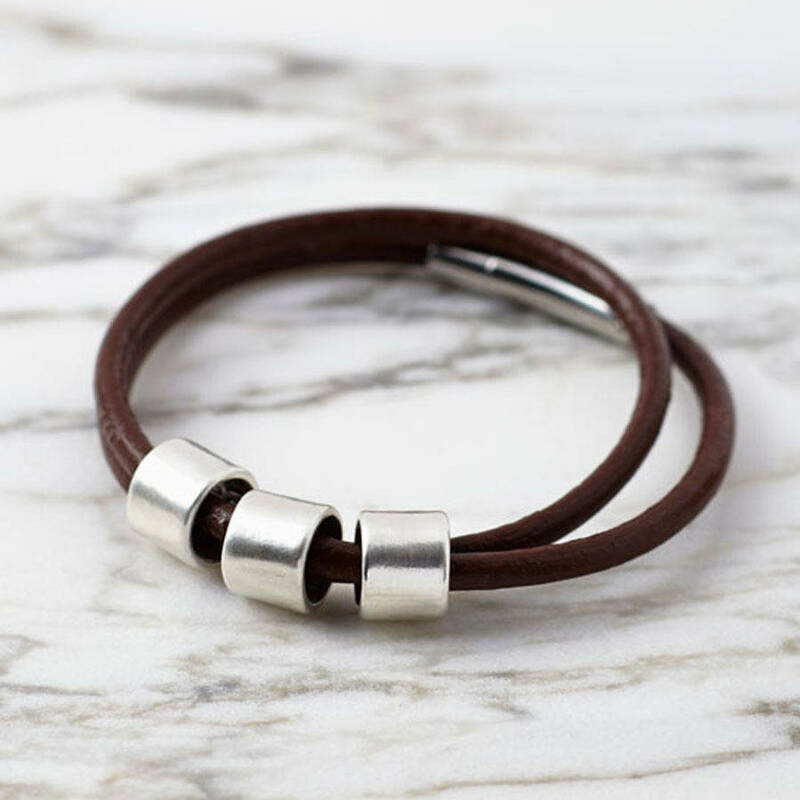 A collection started by you and continued by the lucky recipient who can then add silver links to their story as milestones occur in their life.